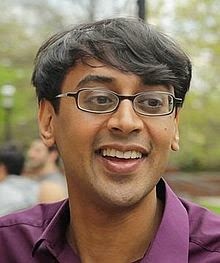 Dr. Manjul Bhargava, born August 8, 1974 in Canada. Bhargava grew up primarily in the USA and also spent much time in India. He obtained his B.A. from Harvard in 1996. For his research as an undergraduate, he was awarded the 1996 Morgan Prize. He received his PhD in 2001,from Princeton University, under the direction of Andrew Wiles. Bhargava became a professor at Princeton in 2003. Prof. Bhargava's contribution in number theory has had a unique influence on the maths research and its community. 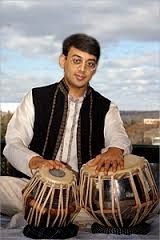 Prof. Bhargava is not only a great mathematician but also an accomplished tabla player too, he is the pupil of great guru (Ustad/Teacher) Zakir Hussain Sahab. He is very close to Indian culture and also learn studied Sanskrit from his grandfather, who is a reputed and well known pandit of Sanskrit and Indian History. Prof. Bhargava is an outstanding communicator, he has won several teaching awards, and his lucid and elegant writing has garnered a prize for exposition. Recently, Prof. Manjul Bhargava has been awarded the prestigious Fields Medal at the International Mathematical Union’s (IMU) International Congress of Mathematicians, ICM, in Seoul. The Fields Medal is considered as the Nobel Prize of Mathematics for being traditionally regarded as the most prestigious award in the field of mathematics. Prof. Bhargava was awarded the medal for developing powerful new methods in geometry of numbers, which he applied to count rings of small rank and to bound the average rank of elliptic curves. "[Bhargava's] techniques and insights ... are dazzling; even in the case considered by Gauss, they lead to a new and clearer presentation of that theory", the Cole Prize citation says. "If Bhargava had stopped with this discovery, his work would already be quite remarkable. But Bhargava has gone on to use his composition laws to solve a new case of one of the fundamental questions of number theory, that of asymptotic enumeration of number fields of given degree, as the discriminant grows. Bhargava used his new composition laws to solve the degree 4 case, brilliantly overcoming very serious analytic problems that had completely blocked all previous work on the problem.". 14 new Gauss-style composition laws. Determination of the asymptotic density of discriminates of quadratic and quintic number fields. Proofs of the first known cases of the Cohen-Lenstra-Martinent heuristics for class groups. Proof of the 15 theorem, including an extension of the theorem to other number sets such as the odd numbers and the prime numbers. Proof (with Jonathan Hanke) of the 290 theorem. A novel generalization of the factorial function, resolving a decades-old conjecture by George Polya. Proof (with Arul Shankar) that the average rank of all elliptic curves over Q (when ordered by height) is bounded. How Bhargava follow and extend the work of work of Brahmagupta in 628 C.E. and Carl Friedrich Gauss (1777-1855) ? A very interesting reality is behind of this that how does a graduate student read the monumental Disquisitiones Arithmeticae, a book about number theory by Carl Friedrich Gauss, get inspiration and keep the idea in his mind and how that idea takes a shape when he was playing with the Rubik’s cubes . Read more..
Packard Foundation Fellowship in Science and Engineering, November 2004. The Mathematical Association of America’s Merten M. Hasse Prize for Exposition, August 2003. Named one of Popular Science Magazine’s “Brilliant 10”, November 2002. Named first Five-Year Long-Term Prize Fellow of the Clay Mathematics Institute, 2000. AMS–MAA–SIAM Frank and Brennie Morgan Prize for Outstanding Undergraduate Research in Mathematics, 1997. Hertz Foundation Graduate Fellowship in Mathematics, 1996–2000. Hoopes Prize for Excellence in Scholarly Work and Research, Harvard University, 1996. Elected Phi Beta Kappa, Harvard University, 1995. Three–time recipient of the Derek Bok Award for Excellence in Teaching; nominated for Levin-son Teaching Prize, Harvard University, 1993–1995. Detur Prize for Outstanding Academic Achievement, Harvard University, 1993. Winner of the New York State Science Talent Search, 1992. Professor, Princeton University, July 2003–. Visiting Assistant Professor, Harvard University, Spring 2003. Visiting Mathematician, Princeton University, Fall 2001–Fall 2002. Clay Mathematics Institute, Cambridge, 2000–. AT&T Labs Research, Florham Park, NJ, Summer 1997. Center for Communications Research, Princeton, Summer 1996. Duluth Summer Research Program, Summer 1995. National Security Agency, Summer 1994. 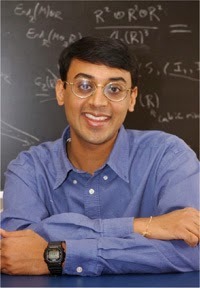 Manjul Bhargava has recently made a great advance in the arithmetic theory of elliptic curves. Together with his student, Arul Shankar, he determines the average order of the Selmer group Sel(E, m)for an elliptic curve Eover Q, when m= 2,3,4,5 . Bhargava also used his expansion of the geometry of numbers to look at the more general case of higher degree hyperelliptic curves.